As expected, Nikon introduced the latest generation of the D5xxx line of cameras at CES. The main change to the camera is that the rear LCD is now touchscreen. Other changes include more battery life (820 shots CIPA versus 600 shots) though with an EN-14a battery, a 12% weight reduction (with a slight drop in how tall the camera is), the addition of the new Picture Controls (Flat, Clarity control), a slight change in eyepoint to 17mm, and the removal of the GPS unit. Price for the new body will be US$899, an increase of US$100 over the D5300. I suspect the general reaction of the Nikon faithful will be “ugh.” The D5500 is iteration, and iteration mostly of secondary functions. Given Nikon’s press release and statements, one wouldn’t expect the image quality or focus performance to change, for example. The primary components inside (sensor, ASIC, metering sensor, focus sensor, shutter etc.) seem to have only the ASIC changing (to EXPEED4, which is why we get the new Flat Picture Control and Clarity settings). I’m still waiting for buffer numbers and card write performance data; I expect those to improve somewhat, even if the EXPEED4 is the only change in that pipeline. Most of the changes in the camera from Nikon's previous model have to do with use of the new touchscreen and the change to slightly smaller Nikon’s carbon fiber type body style. Thus, it’s not a huge step from the currently existing D5300, though both changes are certainly welcome. For most Nikon users, the D5500 will be mostly ignorable. It doesn’t represent any bold step forward for the DSLR, and many would say that the inclusion of touch on the rear LCD has been long overdue. Certainly touch control makes menu navigation faster, and it adds some nice touches for those shooting video, too. Still, the skipped over number (D5400) makes the D5500 seem like it should be further away from the D5300 than it actually is. 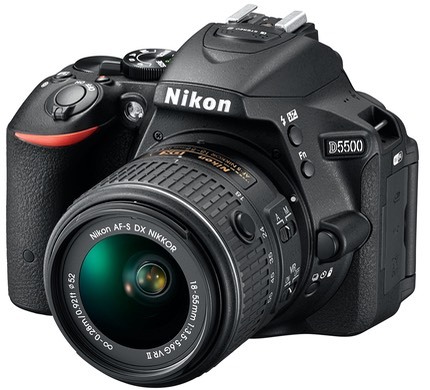 Technically, using Nikon’s traditional naming scheme, this new camera is much more like a D5300s. And why it’s price in the US went up when the yen is dropping just belies yet another of the problems Nikon is facing at the moment. As usual these days, I expect to see the D5300 remain available for some time, thus establishing a lower price point for those wanting the same basic camera at more of a bargain price. Along with the D5500, Nikon announced two revisions of existing lenses. 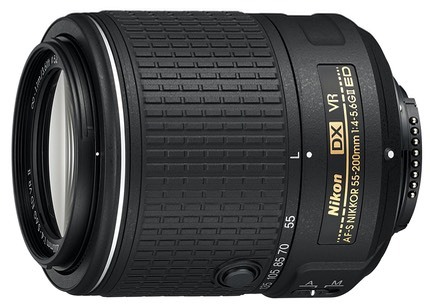 The first is the 55-200mm f/4-5.6G VR DX II, which is the third generation of this affordable DX telephoto zoom. What changed? Curiously the lens has gone back to a simpler 13 element in 9 group form (from 15 in 11). It loses a bit of size and weight in the process, but like the D5500, gains in price (now US$349 instead of US$249). It will take field and lab testing to see whether anything changed optically for the better with the lens. The more interesting lens change is the new 300mm f/4E PF ED VR. Hmm. E and PF. 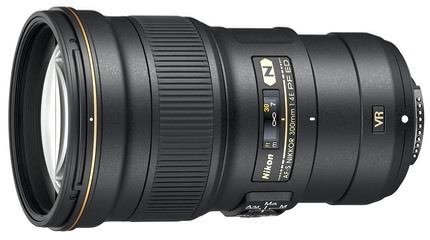 This revision of the older 300mm f/4D lens was mostly asked for by Nikon loyalists who wanted affordable reach, but also wanted VR. This new lens delivers exactly that (VR), but somewhat more. It focuses a bit closer (1.4m instead of 1.45m), but most significantly it is shorter and lighter (5.8” versus 8.8”, or 147.5mm versus 222.5mm; and 26.6 ounces instead of 50.8 ounces, or 755g versus 1440g). That’s a pretty significant weight reduction, though it comes partly because the rotating tripod collar is now optional (though it is the same as the one on the 70-200mm f/4, so you don’t need multiples). Nano coating and the VR Sport mode are also part of the package. Price for the new lens will be US$1999. Oh, wait, you wanted to know about E and PF. The E designation indicates the lens itself has a powered aperture (as does the 800mm f/5.6). Speculation has been that Nikon would eventually move from G to E type of aperture activation over time, as the demands of video make Nikon’s old mechanical style aperture changes slightly problematic. The PF is Nikon’s version of Canon’s DO (diffraction optics). PF stands for Phase Fresnel, which is a type of lens element that works to correct chromatic aberration, at the slight expense of vulnerability to flare. Overall, this update looks like a clear winner. Exactly the smaller, lighter, better 300mm f/4 that we all wanted.